← How Do You Proofread? 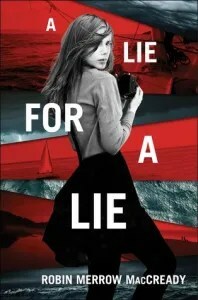 Today’s guest at Maine Crime Writers is YA author Robin McCready, whose first mystery for teens (BURIED) won an Edgar and whose second, A LIE FOR A LIE, was just published. Welcome to Maine Crime Writers, Robin! I love rules and structure and frameworks. They give me a direction and a proper path. Writing rituals, productivity hacks, and apps can be found in my toolbox. I use them all. The rules about how to write a story are read eagerly, embraced, and promptly messed with—especially the ones that are absolute. The most breakable rule of all? Mystery is plot driven. It is, but that’s not the whole story. You must have a compelling character behind the great idea or you won’t have the vehicle to fuel your plot or hip storyline. I’m not a traditional mystery writer, the kind with a detective or private eye, but I find mystery everywhere. For me, it starts with a character and a problem. Usually that’s it. I don’t think too much about it. If she comes back—and it’s usually a she, and she’s usually a teen, I ask why she has this problem. In my first book, Buried, Claudine can’t find her mother. At first this is no big deal. It’s a regular thing at their house, not much of a mystery, and if it was purely plot driven the mystery of where she was could be solved pretty quickly. What made it fun to write, and challenging, was making Claudine as much a mystery as her mother and drawing it out slowly. In my second book, A Lie For A Lie, Kendra sees something that she shouldn’t see, and she can’t accept it. The mystery for her is whether or not what she sees is true, and if so, what does she do with this new information. Mystery is everywhere. It’s not only in the plot details, but also in the character’s details and especially in the “whys” of the character. I know I’m hooked by a new story when I can’t stop talking to a character. In Kendra’s case it began with an interview. The simple problem of seeing her father with a woman who was not her mother brought on questions, but continued in a long conversation about how she felt, if she even cared, what she’d do, or not do about it, why would she confront, or not confront him, and how this affected her life immediately. How Kendra answered these questions revealed her character flaws and this tightened the plot when it was clear that she had an ongoing anxiety disorder and a love interest. Making sure to marry the character’s traits, both her weaknesses and potential strengths, to a staggering problem that challenges her is the only rule I follow now. Finding mystery in the “whys” is the story. This entry was posted in Guest Blog, Uncategorized and tagged A Lie for a Lie, Robin McCready. Bookmark the permalink. 2 Responses to Mystery. It’s Everywhere. 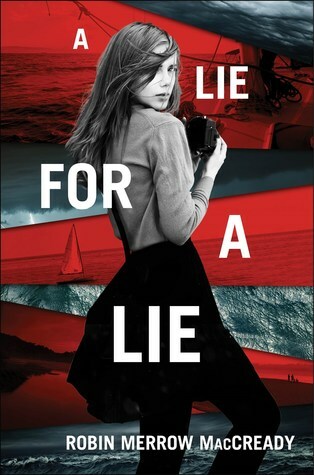 Welcome Robin, I’m reading A Lie For A Lie right now and enjoying it. I loved writing it, but I never want to be a teen again!